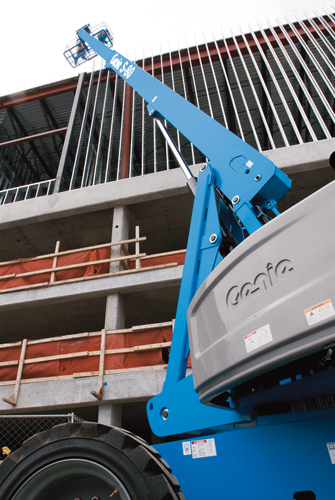 • Both S™-80 and S™-85 telescopic booms feature the Genie exclusive virtual pivot boom design. 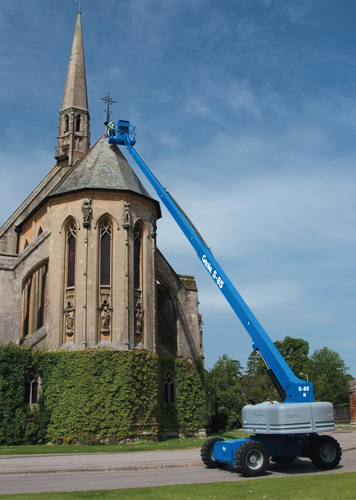 The primary benefit is its ability to keep the weight of the boom over the chassis’ centre of gravity as it elevates. 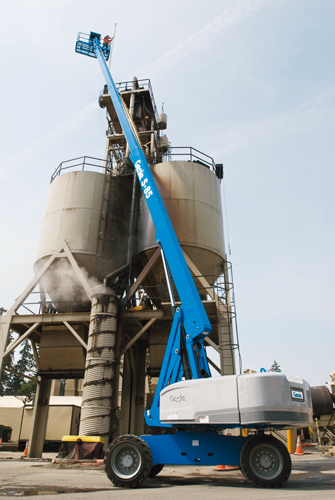 This eliminates the need for extra counterweight and keeps the overall weight of the machine down for use in more sensitive terrains. 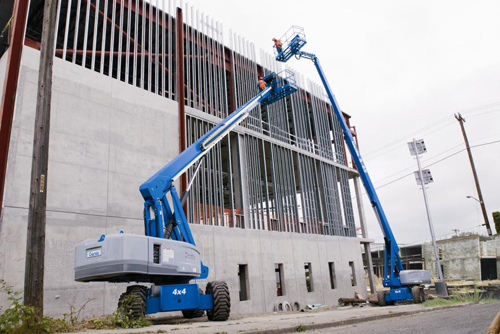 • Fixed width axles allow the boom to drive right off the trailer and go straight to work, maximising productivity at the job site. Serviceability is easier and less costly too by having fewer hydraulic components and moving parts. 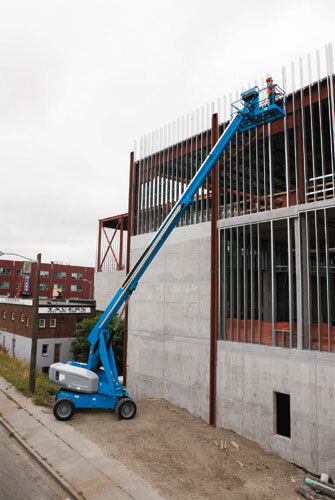 • For added flexibility, the articulating jib boom option offers an extra 1.52 m (5 ft) of horizontal or vertical reach and 135˚ of working range.